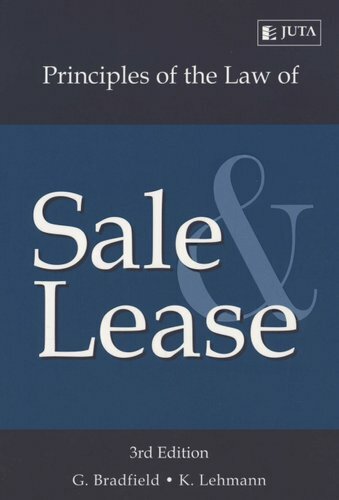 Principles of the Law of Sale and Lease sets out concisely the general principles relating to these specific contracts. 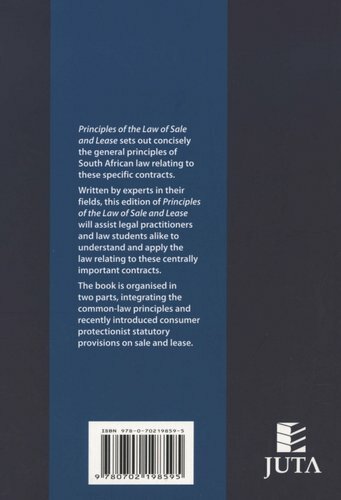 Written by experts in the field, the third edition will assist practitioners and law students alike to understand and apply the law relating to these specific contracts. The book is organised in two parts, integrating the common-law principles as well as the recently introduced consumer protectionist statutory provisions on sale and lease.